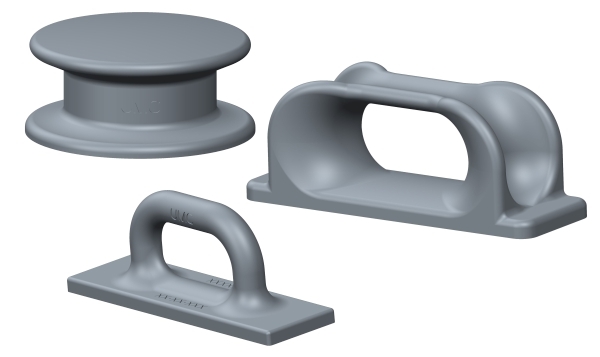 UMC offers a wide range of Button Chocks, Open Chocks, Closed Chocks and D-Rings for any deck application. Our Button Chocks start with a minimum throat diameter of 6” up to a diameter of 10”. Our Open and Closed Chocks range in size from 6×12 clear openings to 9.38×18.75 and our D-Rings are industry standard. All of UMC’s Chocks are made from ASTM A27 cast steel and are built to withstand the toughest conditions.